Short and sweet and very pleasureable learnings for you when you need them the most. Always available and just the right mix and blend of resources to "get what you want"! Elvis has created a wide variety of technics developed over 30+ years of changework and trancework. He blends NLP, Hypnosis and what he calls Neurocise™ into a special and unique mix of trance-formation and evolutionary results. Use the technics daily to enhance your relationships, your performance and most of all your brain-body-being-behaving. 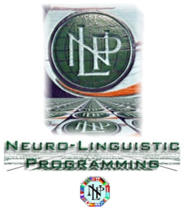 Visit our sister site - LEARN USA - HypnoSonics NLP Department for great products you can puchase and download right away. Elvis Lester is conducting business as TranceLand™ Productions with the following Terms and Policies. As owner and producer of this website, Elvis Lester owns, reserves all rights and claims copyright protection for all audio, video, multi-media products including ScreenCasts, webinars (recorded and live) as well as any graphics or text provided via the website (unless otherwise stated). Elvis Lester claims exclusive rights to all of the information and products as well as their written descriptions. No portion of this website may be reproduced whatsoever without the express written consent of Elvis Lester. This includes any copying, transferring, reproduction or transmission of any content or media, recorded or otherwise. Please note that our products are for educational and entertainment purposes. We do not offer the products found here on the website as an alternative to private treatment or healthcare related services. We considerately advise you to seek the advice and care of a qualified and licensed healing arts practitioner to address any concerns you may have prior to using our products. By clicking on and using our media or proceeding with the purchase of our products you confirm that you have read the above and agree to the Terms and Policies of TranceLand™ Productions.